Onchocerciasis is a form of dermatitis that affects the horse's skin. When a horse is bitten by a gnat carrying onchocerca larvae, the larvae migrate through the bloodstream where they mature and release very small larvae known as microfilaria which then migrate to the skin resulting in an inflammatory reaction known as ventral midline dermatitis. These tiny juvenile larvae are produced by the female organisms and when these microfilariea migrate towards the skin surface, they form small, itchy lumps under the skin. When the lumps become abraded by the horse rubbing against a fence post or other surface causing sores. gnats and other biting insects feed on the sores and carry the microfilariea infestation to other horses. This dermatitis is characterized by extreme itching. Onchocerca, also known as neck threadworm, lives in the major ligaments of the neck, and in some cases, the flexor tendons and ligaments of the fetlock. Onchocerca cervicalis larvae, also known as neck threadworms, are deposited in the horse's bloodstream by biting insects. Usually, they migrate to the major ligaments in the neck or the flexor tendons or the suspensory ligaments of the fetlock where tiny juvenile forms known as microfilariae are produced. These microfilariae migrate out of the ligaments, ending up in the skin where they form small lumps. In horses that have an allergic reaction to the dying filaria, intense itching develops, leading to ventral midline dermatitis which is thought to be associated with a reaction to dead and dying microfilariae. The best prevention is control of biting insects and protecting the horse through good stable and pasture management. Insect screens in stables during summer months will help minimize bites, as will the use of horse blankets or coverings. 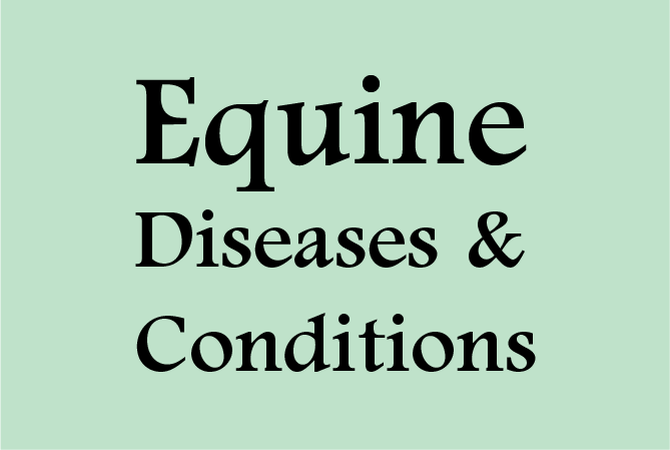 Since biting insects are most active at dusk, night, and dawn, stabling horses during these time periods is helpful. Removal of insect breeding areas, such as stagnant water, is important. In some cases, a veterinarian may prescribe Poridon, a pour-on insecticide that is effective against biting insects, including gnats. Ivermectin paste is prescribed by most veterinarians for ridding the horse of filaria. Veterinarian supervision is recommended because of possible reactions. Adult Onchocerca cervicalis are not affected by deworming agents and recurrent infections result. Ivermectin should be repeated at 4 month intervals to keep the skin free of disease.